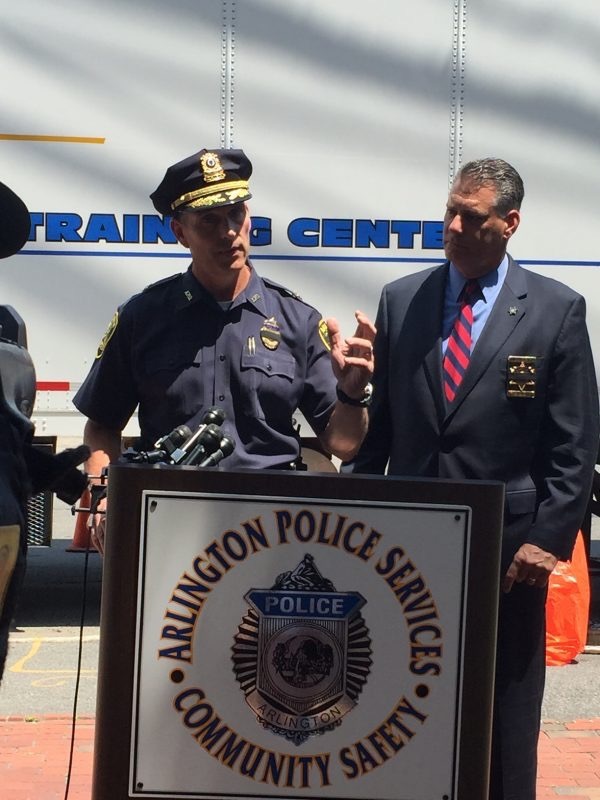 ARLINGTON — Police Chief Frederick Ryan and Middlesex Sheriff Peter J. Koutoujian report that the men and women of the Arlington Police Department are this week completing interactive, scenario-based firearms training utilizing the Middlesex Sheriff’s Office Mobile Training Center (MTC). 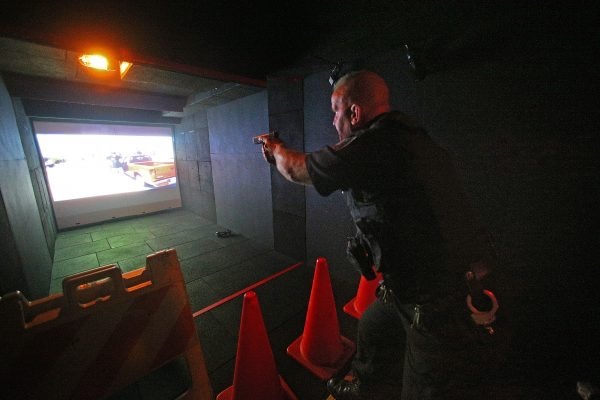 The MTC allows police officers to experience a series of realistic, interactive scenarios where officers are required to make split-second decisions and where they can practice utilizing communication skills to de-escalate hostile situations. The MTC was purchased by the Middlesex Sheriff’s Office with federal grant funds in 2010, and more than 30 law enforcement agencies have put officers through training. 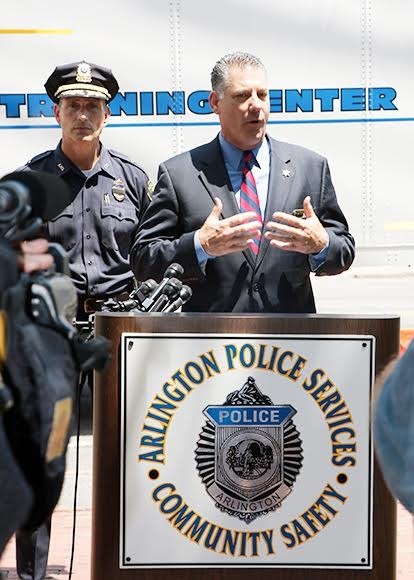 It was first used by members of the Arlington Police Department in 2010 and was last utilized last summer. 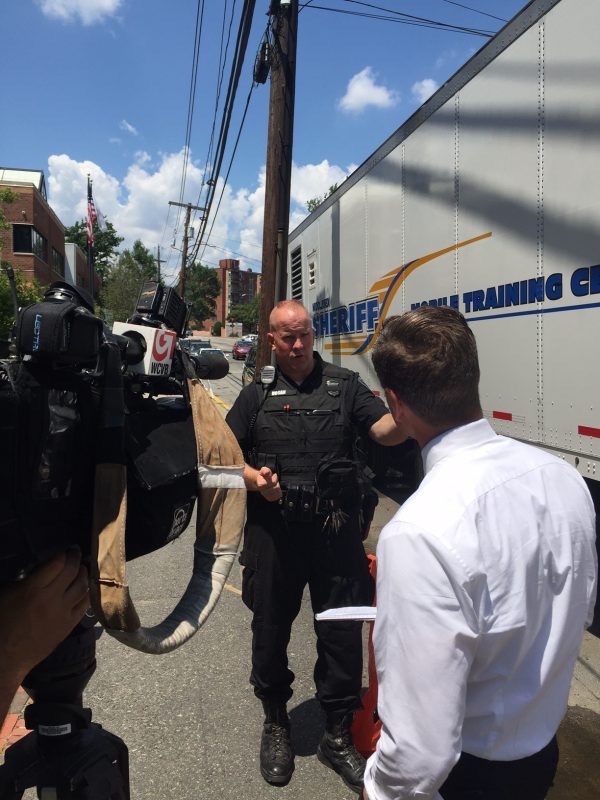 It is the only such training resource in Massachusetts, and it is available to all law enforcement agencies in Middlesex County. The unit is in Arlington through Thursday, when it will move on to the next community. On Wednesday, members of the Arlington and Boston news media were given their first-ever inside tour of the MTC. 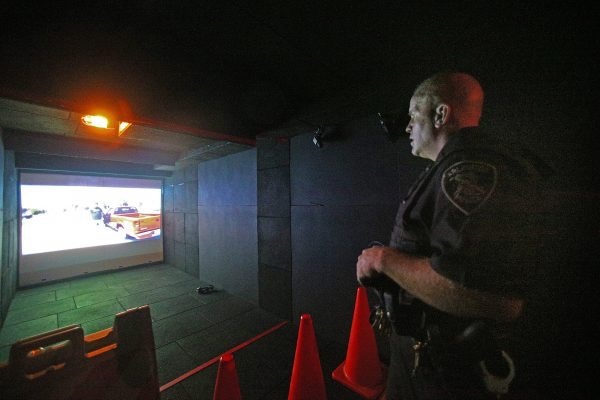 Reporters watched as Arlington Police Officer Michael Hogan went through a number of training scenarios, including a drunk driving stop, a call for a suspicious person, and an active shooter scenario involving two armed suspects.